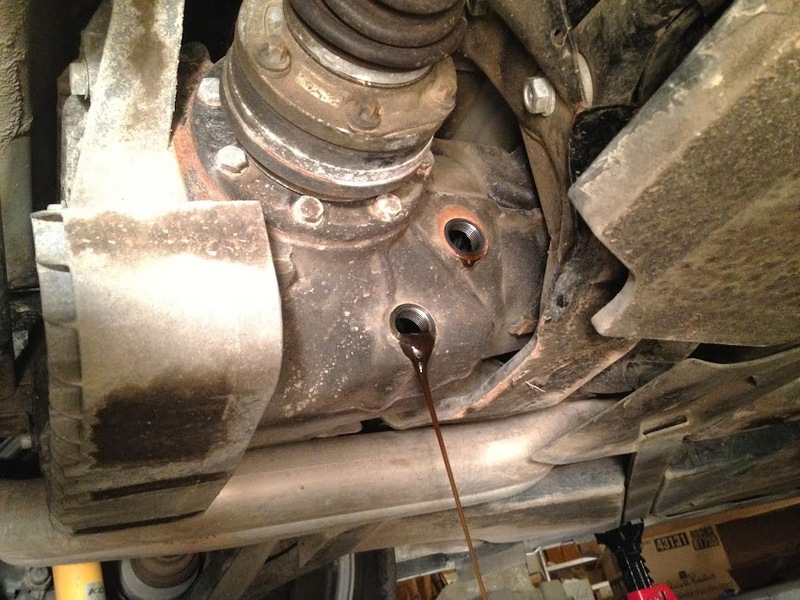 Look directly below the bolt with the oil on it, maybe about an inch below. On a positive note, at least you caught it now before that chunk let go and killed your engine. I updated the picture and circled it. That I am very thankful for. 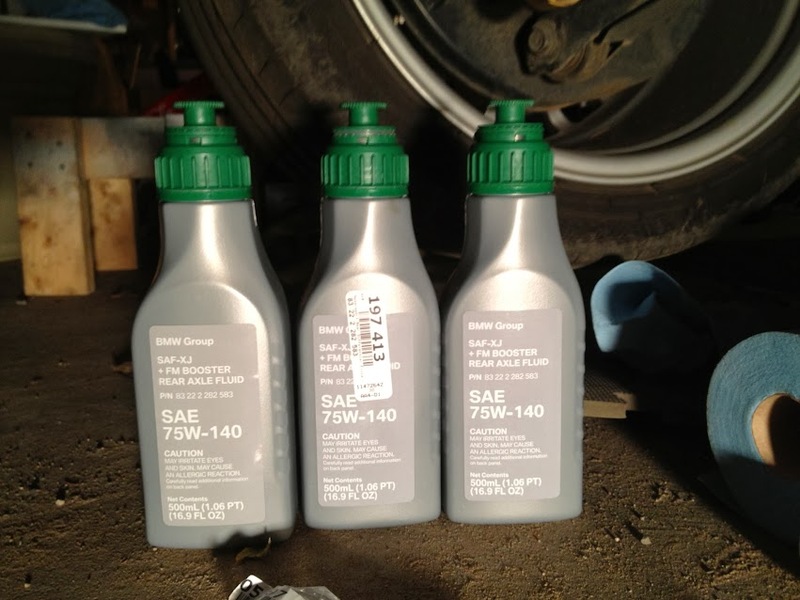 It's a common and well known problem with the VANOS system on these cars. 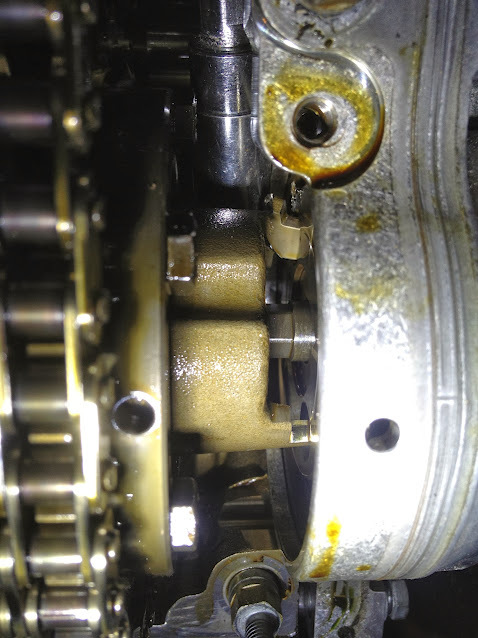 There have been a few unlucky people who have had that piece find it's was into the timing chain and dead the engine or go down into the oil pan where you need to drop the whole front subframe and pan to get at. I knew it would happen sooner or later, was just hoping for the later part. I have a few options to beef up the system to help prevent this from happening again. So yesterday mainly consisted of tear down, boring stuff, so I won't post pictures of that. So my main objective was to check all the valves and make sure that they're all within spec, if not then I'd order the appropriate shims needed. 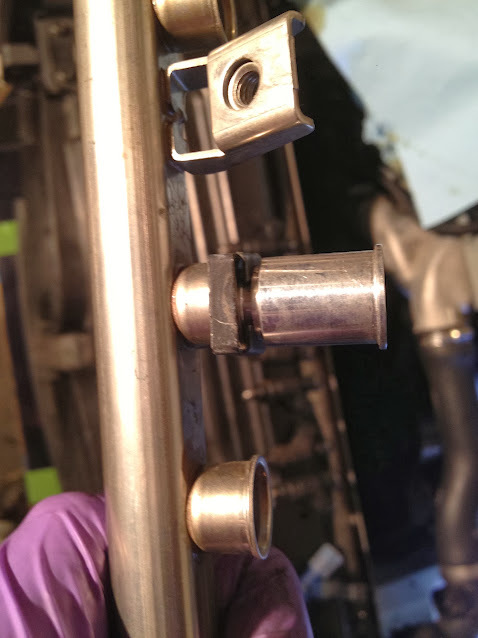 It pretty much consisted of turning the engine until any set of cam lobes were facing up and then slipping the feeler gauge(s) in between the cam and rocker. All the cams were within spec so I saved quite of bit of time there. 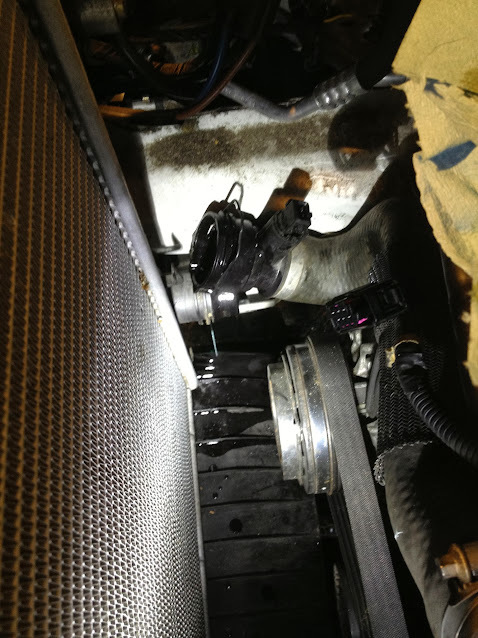 The engine was set at TDC by turning the engine until the cam lobes for cylinder 1 were facing each other at 45 degrees. Then to be more precise I lined up the harmonic balancer. Then came the removal of the VANOS pistons from the splined shaft studs and once that was done the VANOS unit simple came off. I still have to remove the hubs off the cam sprockets but other than that I can't do anything until the ordered parts come in. As a result of the damage done to the oil pump disk by the broken hub I'll be pulling that apart and taking it to have another 2 holes drilled 90 degrees from the existing holes since it's cheaper than $150 for a new one that has the same done to it. I've decided to do pretty much a full rebuild of the VANOS. I will be replacing all the OEM Buna seals with Viton seals, upgrading the cam sprocket and hub bolts to the new, updated ones and I'll be going with a beefed up exhaust hub and installing a rattle kit to elimate any play in the splined shaft bearings. The only thing I'm not doing is upgrading the solenoid as that hasn't caused any problems and can be replaced at a later date without having to remove everything. Last edited by Nabs; 10-14-2013 at 09:05 PM. Had the hole or the tab been 0.9mm smaller/bigger this likely wouldn't have happened. Most people think that it is due to the slack that when the tab hits the disk it causes it to break which is why anyone who is selling a fix for it drills smaller holes on the disks or puts on bigger, stronger tabs. Took me a while to find a shop willing to drill the disk. One shop even told me it wasn't worth it and that the hole wasn't that bad but I still wanted to do it just incase. I have most of the parts/tools ordered, just waiting to hear back about a new hub and have to place an order for random washers, bolts, etc. I'm going to flush the transmission and differential and continue pulling all the parts for the turbo kit. Last edited by Nabs; 10-11-2013 at 03:57 PM. I got a bit lazy and didn't do too much yesterday. 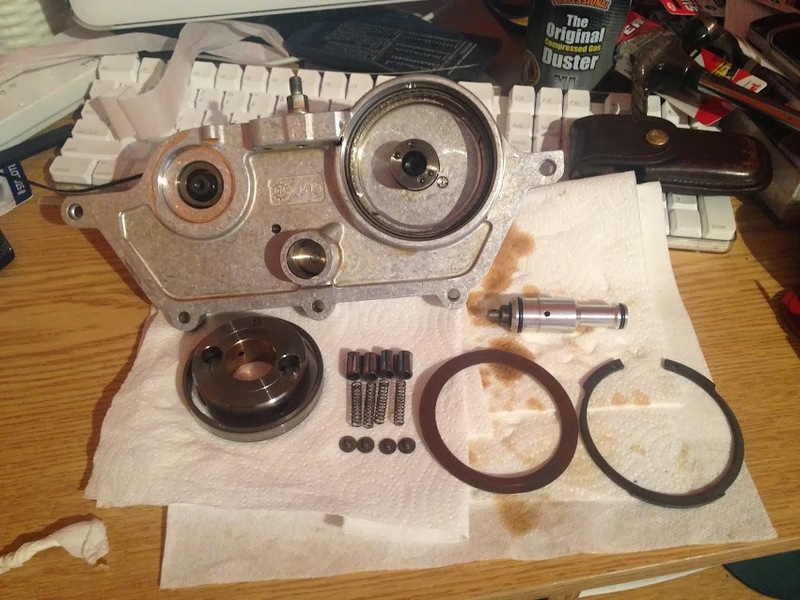 I pulled the VANOS hubs and splined shaft off the sprockets and out of the cams. It actually seems like a very simple system. 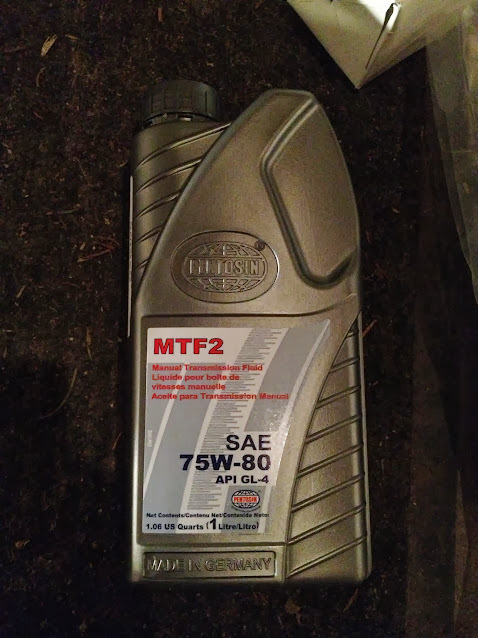 Decided to stay safe and went with the OEM fluid. The bottle even came with build in "funnels"
The transmission was next. The oil was really black and it seemed like there was a lot of metal flakes coming out as well. 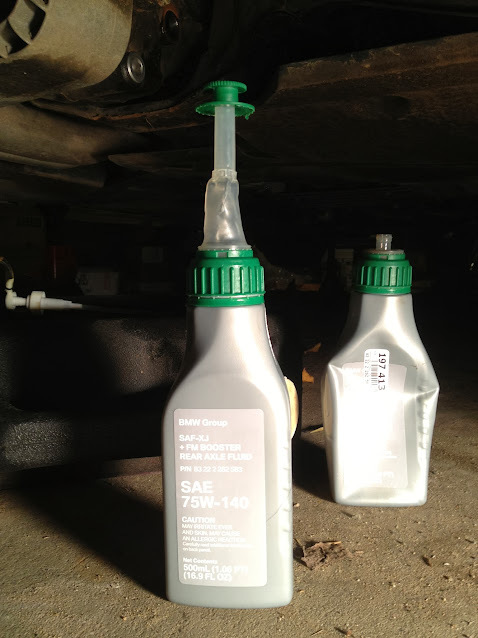 Went with an OEM equivalent fluid for this. Finally I swapped in a new fuel filter while I was down there. I drained the inlet side first to see if there was any junk in there and the gas was quite clean. I'm hoping to pull the intake manifold, headers, exhaust and bumper tonight. Last edited by Nabs; 10-12-2013 at 05:11 PM. Putting in work dude. Nicely done! Good work, they should have had Honda design their variable valve timing haha. Thank you sir. You want to come help? I'm getting a bit lazy. Thank you! Ya, it's a good 9 to 10 inches. I actually do waste lots of time I'm not in any major rush now that I have to wait for parts. They all should be in by the middle of next week but I have a few midterms next week so it may have to wait. Thanks! It's a good system, just has a slight flaw, but the interesting thing is that out of the 3 production vehicles that used this engine it only seems to have the issue in the M3. I've also seen pictures of early designs where they used a larger tab and slots, must have been an accounting change there. Anyways, I just finished up for the night. I'll post pictures in the morning or afternoon, whenever I end up waking up. I changed the spark plugs next. Cylinders 1-6. They looked pretty good, no problems here. Everything comes in labeled, sealed bags which makes life a whole lot easier. 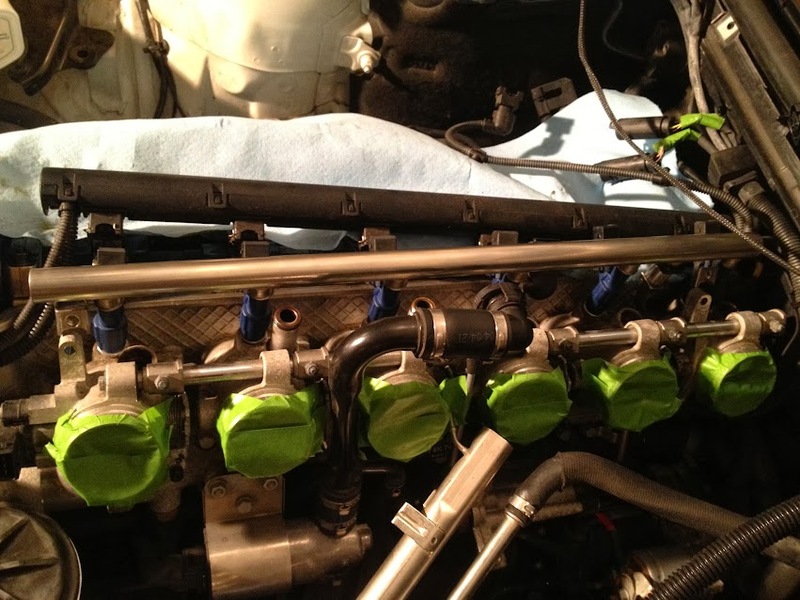 I had to do a bit of modification to the fuel rail to accommodate the new, taller injectors. It was just a little scary. 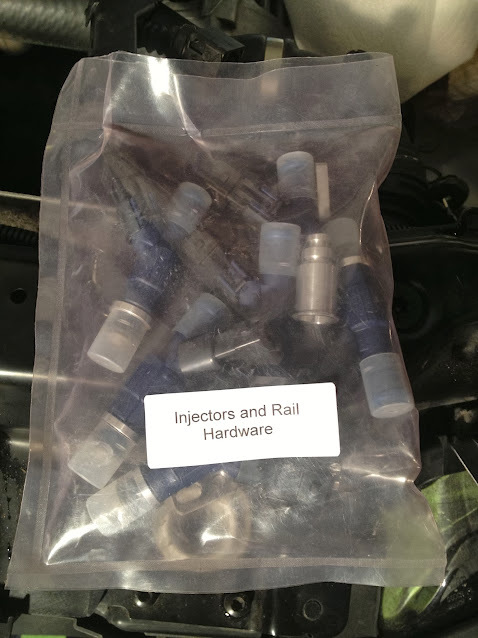 Injectors all set to go. I used a little vaseline to make things slip in a bit more easily. 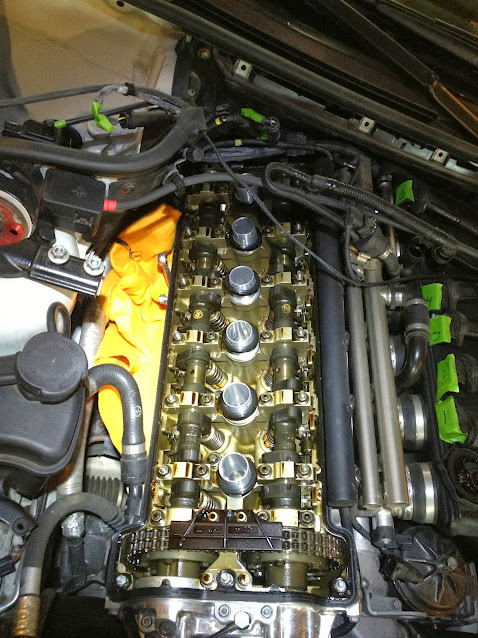 Vacuum rail and injector harness reinstalled. This took forever. Last edited by Nabs; 10-13-2013 at 11:30 AM.